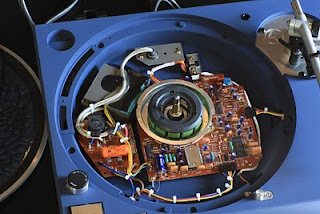 The Vinyl Anachronist: Zu Audio Technics SL1200 turntable? Yes, it's true...Zu Audio is now offering a fully-modified reworking of the Technics SL1200 turntable. But before I put this in the "lipstick on a pig" file, I must point out that nearly everything Zu Audio makes is excellent. I own their take on the Denon DL-103 cartridge and think it redefines cart performance under $1000. So this gussied up version of the SL1200 may actually be worthwhile. *Deck core is machined and taped to accept new armboard. *Top plinth is reworked and encased in composite damping. 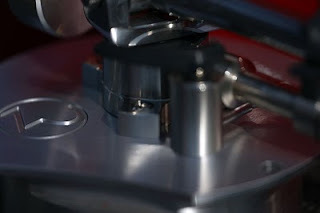 *1.5” (3.8cm) thick billet aluminum armboard installed (machined to accept all Rega arms). *New armboard sandwiches top aluminum/composite plinth with composite core. *Platter is damped with clear ester based epoxy of medium durometer. *Upon request, pitch control is removed from circuit and deck. *Upon request, popup light assembly is removed from deck. *Ringly-jingly bits and pieces are removed or secured in plinth. 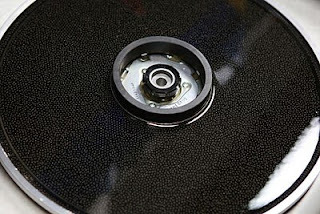 *Platter / top-half of motor is balanced. *Transformer is removed from deck (with KAB PS-1200GX outboard power supply option). The price of this TT, with a Rega RB1000 tonearm included, is $4500. 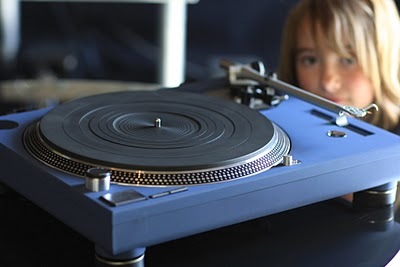 It may sound spectacular, but for this kind of money I think I'd go for a Rega P9, which also uses the RB1000. But that's just me.